There are more than three times as many vehicles that average 30 mpg than five years ago, and even SUVs are becoming more efficient, the EPA says. WASHINGTON -- Automakers exceeded U.S. government targets for improving gas mileage and reducing tailpipe emissions by “a wide margin” for the second year in a row, the Environmental Protection Agency said. Vehicles sold in the U.S. are on average the most fuel efficient they’ve ever been, averaging 24.1 miles per gallon for the 2013 model year, a 0.5 mpg increase from the previous year, the EPA said in a report released Thursday. The improvements show that, for now, the momentum automakers have in reducing the weight of their cars and introducing fuel-saving technology is enough to offset consumers gravitating back to SUVs and away from electric cars and hybrids. The Alliance of Automobile Manufacturers, which represents General Motors, Toyota Motor Corp. and 10 other automakers, said it will be a challenge to keep up the pace. “Our compliance is based on sales, not what we put on showroom floors, and consumer purchases of fuel-efficient vehicles still go up and down with the price of gasoline,” Gloria Bergquist, the Washington-based group’s vice president of communications and public affairs, said in a statement. The cleaner tailpipe emissions have come from new technologies such as variable valve timing, direct fuel injection, and weight reduction using lighter materials such as aluminum and carbon fiber. Yet maintaining the current pace of emissions reductions will be challenging because automakers have exhausted available technologies to reduce emissions, leaving “nothing sitting on the shelf,” the alliance said. America’s rekindled affection for gas guzzling trucks and SUVs started early last year and then intensified as gasoline prices fell to their lowest level in five years, getting very close to $2 a gallon. The fuel-economy gains listed by the EPA report are partly due to automakers using special energy credits for better air conditioning and selling vehicles that can run on ethanol. The EPA assessment shows automakers wouldn’t be in compliance without getting credits for selling vehicles that “can run on ethanol but never do” and using a new air-conditioning refrigerant “they were going to use anyway,” he said in an interview. Automakers will have to rely more on actual technology improvements if they’re going to meet stiffer government requirements that start for the 2017 model year vehicles, he said. 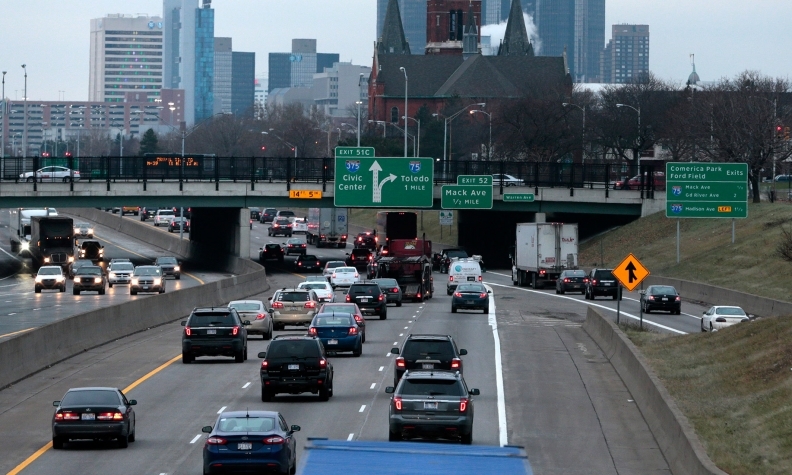 The EPA used the data to show progress for initiatives pushed by President Barack Obama that are aimed at gradually boosting the average fuel economy of vehicle fleets in the U.S. to 54.5 miles per gallon by 2025. Nine of the 13 biggest-selling automakers beat their Corporate Average Fuel Economy targets, the EPA said in the report. There are more than three times as many vehicles that average 30 mpg or better than five years ago, and even SUVs are becoming more efficient, the EPA said.